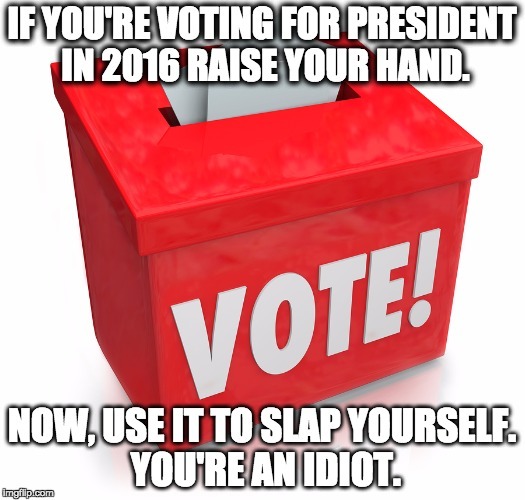 IF YOU'RE VOTING FOR PRESIDENT IN 2016 RAISE YOUR HAND. NOW, USE IT TO SLAP YOURSELF. YOU'RE AN IDIOT.